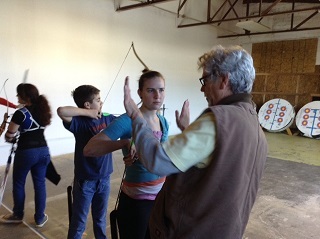 Private archery lessons are available, with flexible scheduling . 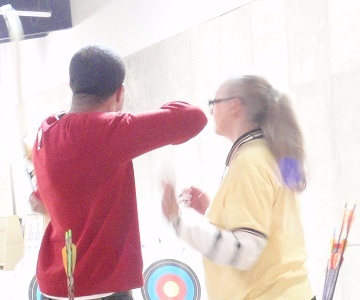 Archery lessons are taught by a USA Archery certified instructor, and all necessary recurve, and safety equipment is provided, or the student may bring their own if approved by coach. Depending on the goals of the student, the programs can focus on an introduction and "taste" of the sport, offer skills for recreational shooting or prepraration for tournament competition. 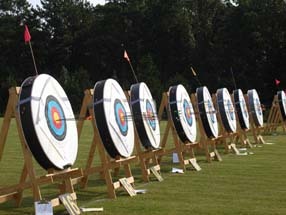 Archery is a self-challenging and rewarding activity, blending physical and mental resources. Minimum charges apply. Contact for more scheduling info. 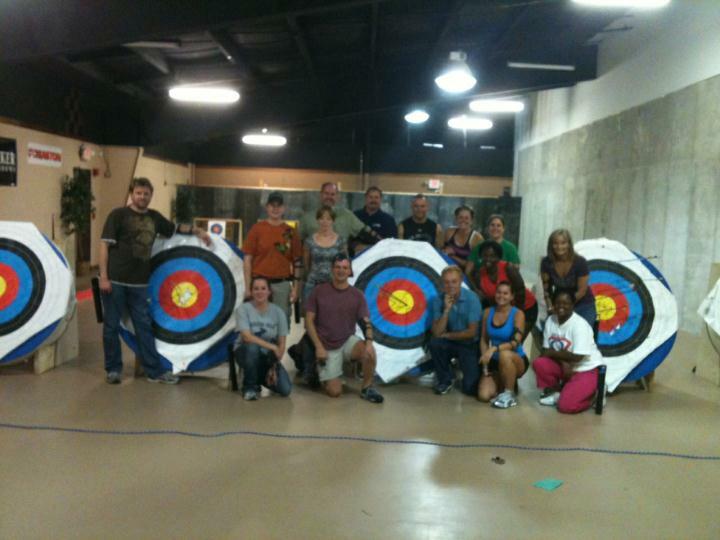 Note: You may also wish to check the orientation page to sign up for an introduction to archery! Individual private first time orientation lessons run $65 per 1 hour session for the first student, plus add $20 for each additional participant, up to 3 partiicpants in one session. Includes range fee, gear, instruction. Individual Private lessons run $145. per 1 &1/2 hour session, for the first 4 participants, plus add $20 for each additional participant. 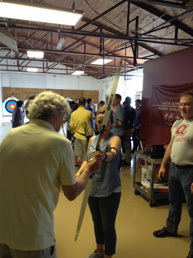 A response to Learn Archery via email will be required to confirm the range reservation. Individual Private lessons run $230. per 2 hour session for the first 8 participants, plus add $20 for each additional participant. 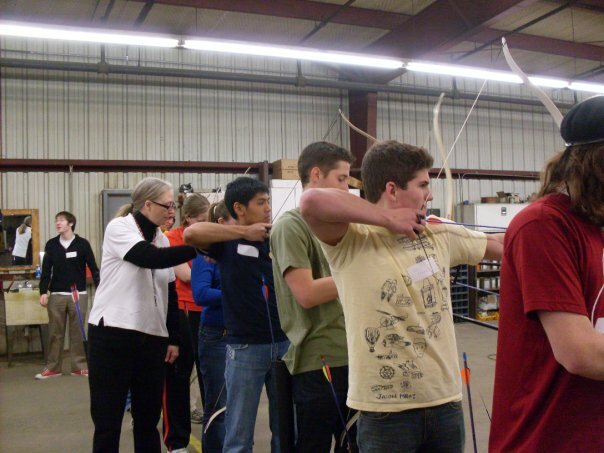 A registration doodle may be sent for you to enroll your participants noting number of right or left handers, and a response to Learn Archery via email will be required to confirm the range reservation. ( reservation minimum rates are for the number of participants confirmed by the deadline set at reservation. Group Private lessons run $295. per 2 hour session for the first 11, plus add $25 for each additional participant. Includes range fee, gear, and instruction for up to 14 participants. Group lessons run $455 for up to a 3 hour session for the first 15, plus $25 for each additional participant. Maximum participation is 20. 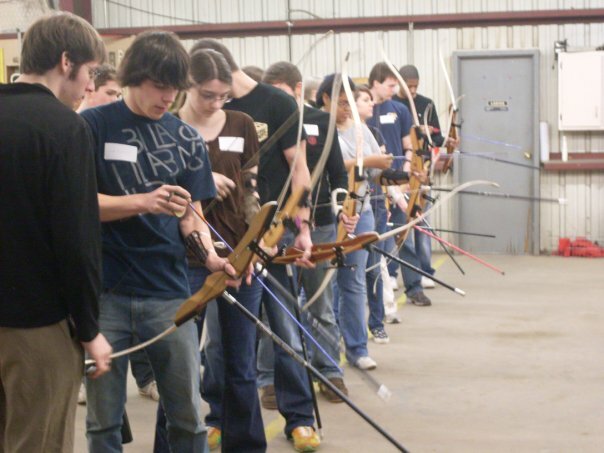 A registration doodle will be sent for you to enroll your participants indicating if right or left handed, and a response to Learn Archery via email will be required to confirm the range reservation. Maximize your session time by having all waivers completed prior to turn in at arrival. 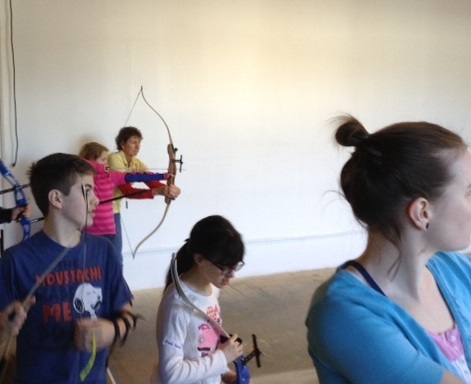 All lessons are for Olympic style recurve bow, focusing on form and safety, giving basics that get students safely shooting, and offer a general feel for archery. 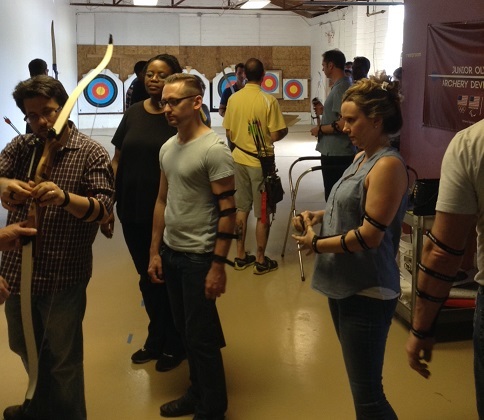 Our Certified Coaches and Instructors go over range rules, safety gear (finger tabs, arm guards, sling, etc), and size the bow and arrow to the archer. We work on getting the best use of our muscles and balance, combined with clear mental preparation, teaching a series of components/steps which build on one another. As a USA Archery Club, after completing Orientation, all participants joining in ongoing classes after completing Orientation, private classes, or camps, must be a current member of USA Archery. 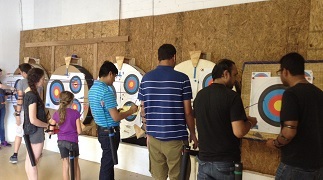 The minimum qualifying USA Archery membership is Recreational ($15 annual fee per student.) Youth, Family or Lifetime options are available for those interested in upgrading to earn rank or participating in tournaments.